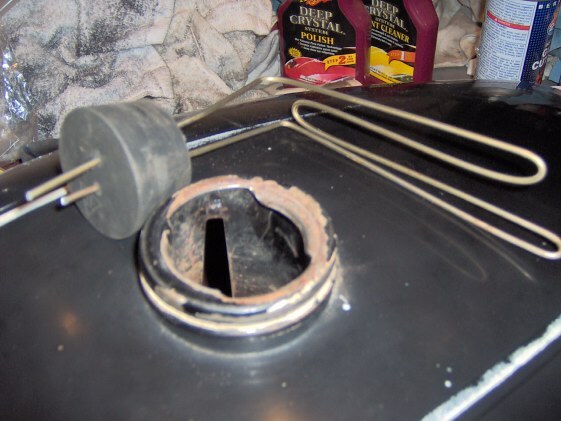 Began preparing to remove the light rust from the inside of the fuel tank. Been wanting to try the electrolysis method outlined here: http://www.xs650.com/forum/showthread.php?t=30 so bought a few rubber stoppers - two for the petcock holes and a large one for the cap opening. Drilled two holes for the coat-hanger wire anode, bent the wire into the fork shape described and checked that it didn't contact the tank when inserted. Ready to mix up the solution tomorrow and give it a try!